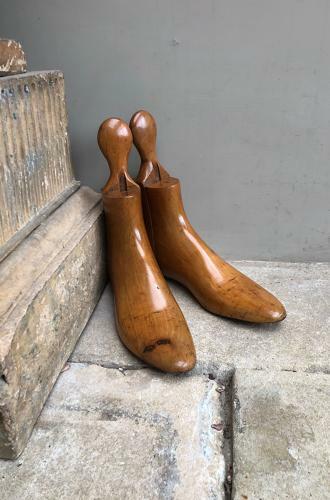 Wonderful Condition late Victorian Treen Mens Boot Trees. All correct and clearly marked "L" on left foot and "R" on the right foot. Great colour. Perfect to display, lovely in a mans clothes shop. The three parts of each foot have been glued together, so they stand to display easily.